Cookie OX marijuana seeds by Rare Dankness have their origins in the cross of a Forum Girl Scout Cookie and an OX. 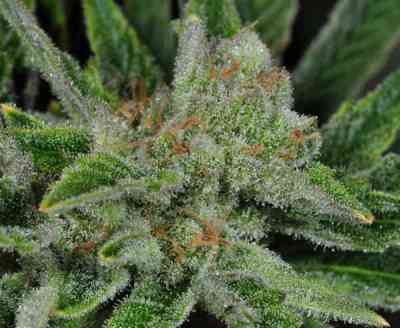 The result is a regular Indica-dominant marijuana strain noted for her gentle effect and her easy-to-grow properties. Cookie OX turns into a marvellous small/mid-sized plant that ends up completely covered in purplish flowers. Given her small dimensions, she's perfect for indoor growing. On top of that, growers don’t have to be particularly skillful in order to obtain optimal results. The flavour and aroma of Cookie OX are sweet and intense, accompanied by hints of flowers and cookies. Her effect is highly relaxing, that is, typically Indica, both pleasant and long-lasting.